Raw cacao is one of the most, if not THE most, nutrient rich and complex foods known to man. All chocolate starts out as raw cacao “beans” or nuts - the seed of the cacao fruit which grows on a tropical tree. The usual roasting/processing of chocolate destroys a significant amount of its valuable health supporting properties. Much of the mood elevating, antidepressant and antioxidant qualities are eliminated with heating. High speed processing, cooking and roasting, destroy sensitive nutrients, create rancid fats, and corrupt the delicate, complex flavor of the cacao nib (bean without the skin). 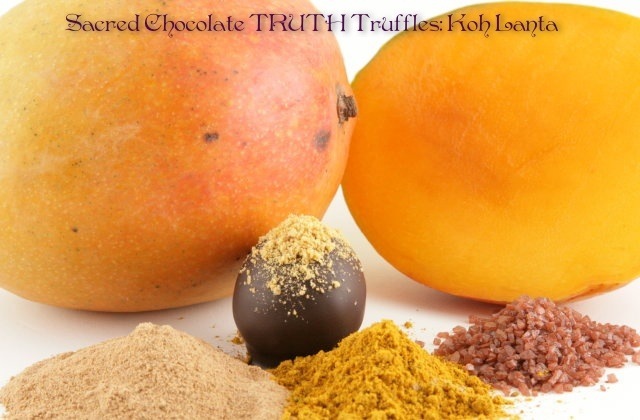 One of the main differences between raw cacao and the chocolate typically available on the open market (cocoa, a processed substance) is that raw cacao has all the original healthy cacao butter containing all the original essential fatty acids and amazing taste originally found in the bean. Raw cacao or chocolate should not be confused with other substances such as coco (coconut), kola (a nut whose flavor is used in soft drinks), or coca (the leaf of the plant from which cocaine is derived). Cocoa and cocoa butter are cooked, processed substances derived from raw cacao nibs (or “beans”/nuts). * Organic Raw Chocolate is good for sufferers of asthma, as it contains the anti-asthmatic compounds theobromine and theyophilline. * Cocoa, a component of chocolate, contains flavonels, antioxidants that increase blood flow to the brain. * Cacao also contains high levels of sulfur and magnesium, increasing your focus and alertness. * Chocolate can actually make you happier, longer. That's because cacao enhances the amount of time the happiness-inducing compound anandamide stays in your system. * Chocolate decreases your anxiety and stress levels. 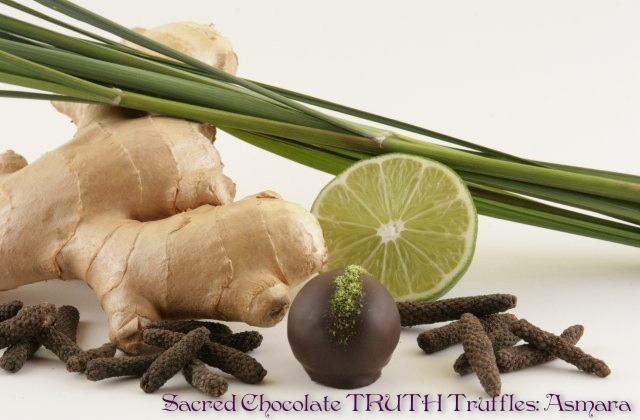 A clinical trial demonstrated that dark chocolate reduced the production of stress hormones in as little as two weeks! * Chocolate is good for your teeth; the theobromine compound contained in chocolate kills the bacteria that cause cavities. 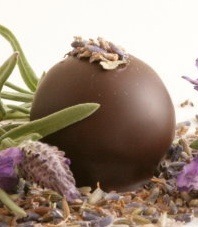 * Chocolate contains zinc, a key mineral that contributes to the health of your immune system, liver, pancreas and skin. * Chocolate ensures your blood stays healthy, as it contains the key mineral copper. 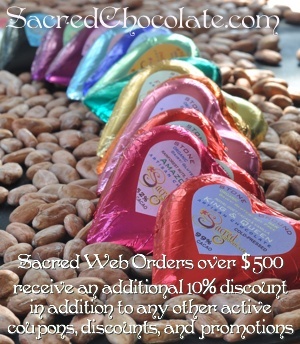 * Organic Raw Chocolate is considered by many nutritionists to be the best food for your heart. A study conducted by the German Institute of Human Nutrition found that chocolate consumption lowers the risk of cardiovascular disease, in part due to chocolate's ability to reduce blood pressure. 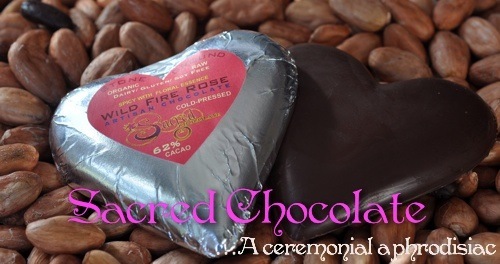 Sacred Chocolate® is a very special artisan organic raw chocolate. It takes many days to make their chocolate. They start from the whole bean and slowly stone grind it, husk and all, at low temperature. Grinding the husk takes extra time and keeping the chocolate at a low "raw" temperature (below 115 degrees Fahrenheit) also takes extra time. 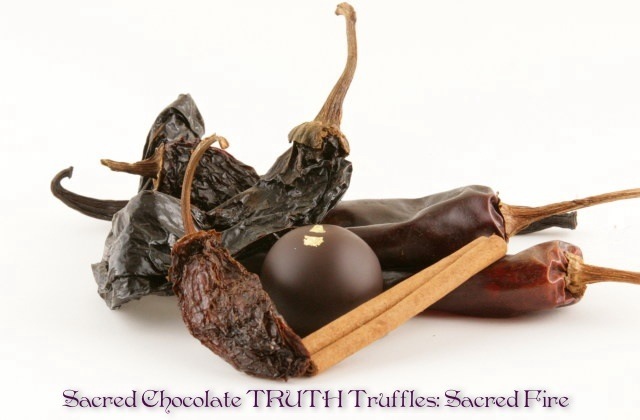 Besides the husk of the bean, which they believe has amazing nutritional properties, in many of the chocolates they include exotic whole herbs which also must be ground right into the chocolate. This special process takes several days to accomplish in order to get Sacred Chocolate® as smooth as silk! Bringing particle size down to the micron level ensures MAXIMUM nutrient absorption by the body. They REALLY believe in STONE GRINDING because during the process, microscopic particles of the granite stone are absorbed by the chocolate which enhances both its flavor and nutrition. Most modern machines use steel to grind cacao beans resulting in having to use high powered magnets to extract the tiny steel particles that end up in the chocolate during the grinding process. All of this takes place in a custom built, carbon-neutral and eco-friendly chocolate factory. Why do they do this? 1) Flavor, 2) Nutrition, and 3) Consciousness. Now, you may ask, what is this about "Consciousness?" What they mean by that is this: They are creating a product for you that has everything to do with consciousness from intentions and love that they put into the chocolate to make it wonderful for you, to the fact that Sacred Chocolate® is certified "to the hilt", to the fact that they do everything in their power to recycle and minimally impact the eco-system. Basically, it amounts to always doing the right thing at every turn and never cutting corners out of convenience or just for the sake of profit. This includes donating to organizations such as the Fruit Tree Planting Foundation, whose intent it is to plant 18 billion fruit trees on mother earth. They hope by doing all the things that they do, including even praying over the chocolate, that they actually raise the "vibration" of the chocolate to the point that you can actually feel it! It is their mission to create a chocolate so refined and full of manna that it is a sacrament to those who partake of it. They goal is to offer you the philosopher's stone in the form of chocolate, Sacred Chocolate®!